Ultralight and super compact towel designed for minimalist adventures and everyday activities. Sea To Summit towel range now includes the Airlite: an ultralight and super compact towel designed for minimalist adventures and everyday activities. 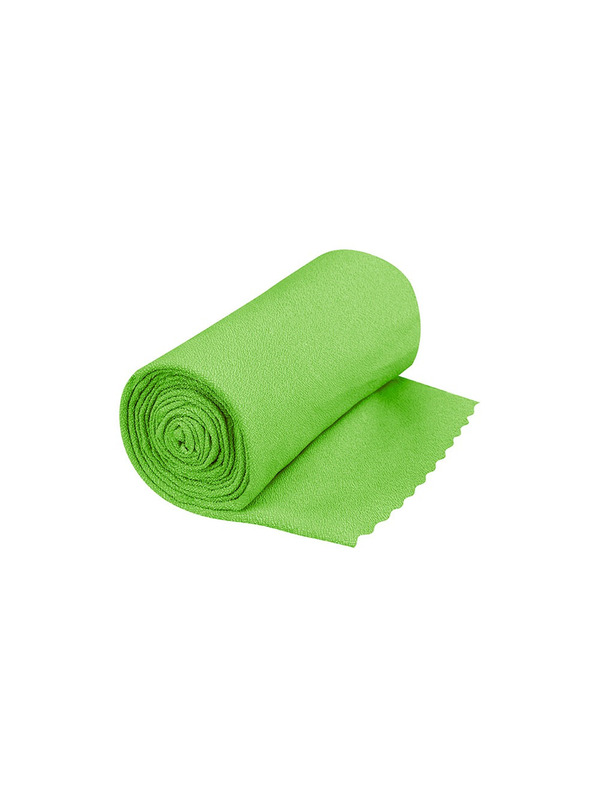 The Airlite fabric is 50% lighter than the Pocket Towel™. Like all Sea To Summit towels, it is made from microfibre yarn allowing it to absorb over three times its weight in water. 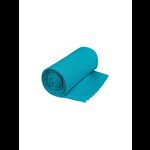 The low fabric weight results in a high surface area making the Airlite the fastest drying towel in S2S range. After use, simply tie it to your backpack and it will dry in no time. By laser-cutting the edge instead of over-locking, we have further reduced the exceptionally small packed size so it fits easily in a backpack hipbelt, gym bag or travel tote. The storage stuff sack is connected with a press stud to keep them together and can be disconnected during use. When hanging the towel, reconnect the stuff sack and hang on the webbing strap. They are colour-matched to the towel and clearly labelled for easy identification.